Guess What!!! Shelly's Images has a new image to share with you. 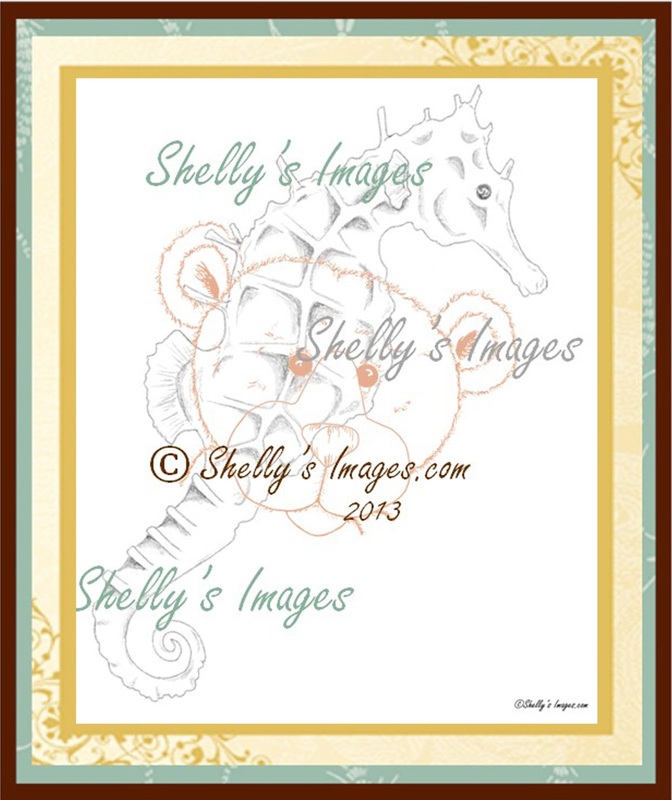 I happen to like this new Seahorse digi stamp! I can't wait to use this because I have the perfect papers to go with this adorable image!! Click here to visit the store link for this digi stamp. This digi stamp is done in a "pencil" sketch format. We have tested the digi on multiple printers but we understand that all printers are a little different. Adjustments can easily be made by emailing Shelly at shelly@shellysimages.com if you find that the digi prints too lightly on your printer. Darlene was nice enough to make a sample with our newest digi. I absolutely love, love, love the sentiment she used! Perfect for this digi stamp. And aren't those bubbles cute? We always love to hear from you when you drop in, so be sure to leave a little comment below. You never know when Shelly might choose a random comment to receive this fun digi stamp. It is a very cute digi! 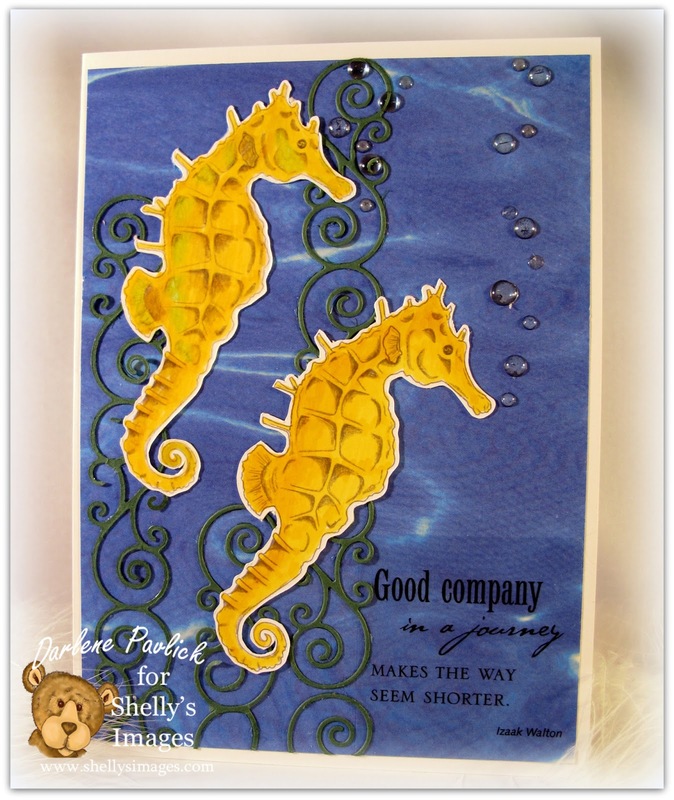 Love the background for the seahorses and the sentiment is lovely.